This is Caleb and he’s a treasure to the world. Man’s man, family-man, man of the people, Renaissance man and more. Everyone loves him, even puppies. Plus, he has impeccable style. Negative 20 is pretty cold. No one likes being that cold. I mean, yes, you are in it when you are going to and from the car (or you work outside), but inevitably the cold gets through your fur trapper hat, trench coat, scarf, sweater, sweater, t-shirt, and proceeds to taunt you with reckless abandon. I don’t know about you, but I can hack cold legs…arms…ears, sure, but the WORST is getting a face-full of drifting snow and having it somehow triple-deke your scarf and settle around your neck like some sub-zero-choking ghost. Do not fret. Hi, I’m Caleb. One of the many friends of your stylish host and author, Nell. Alright, back to the weather. 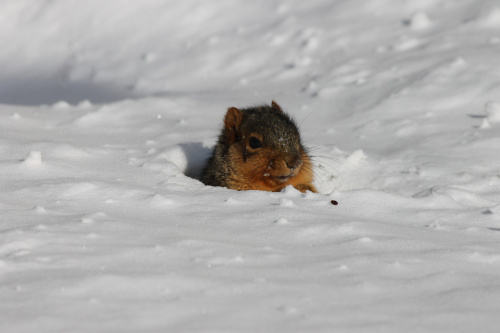 And may I take this time to say a “Hoorah for the Yellow and Blue”… ol’ alma mater saving the poor chilling chilluns from the cold today. Days since snow day = 0. That being said, it’s still -20 for the rest of us venturing off to our daily labors. No sweat. Style beats cold in a 5-way rock-paper-scissors street fight. 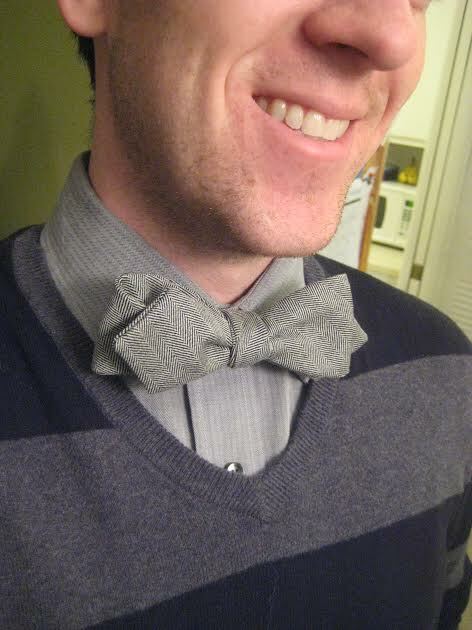 Enter the bowtie. Anyone see Gatsby? 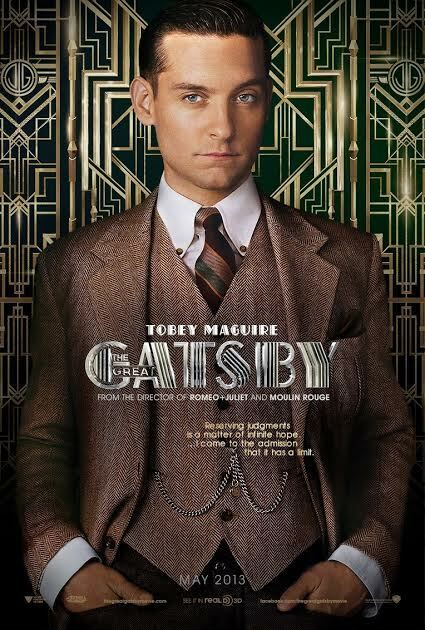 Toby Maguire’s awesome herringbone suit? Oh-hyeah: if I ever get rich off of the next prohibition, I’m buying one of those. 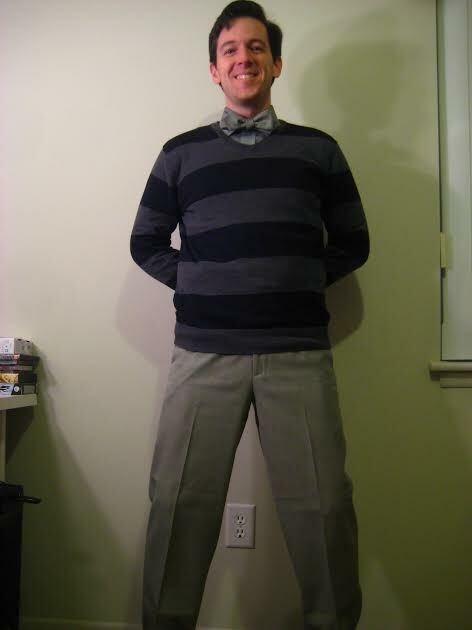 So what we’ve got here is a grey diamond herringbone bowtie on grey herringbone straight collar (not English collar, that’s too wide), with a black and grey stripe sweater to link the grey’s with the black shoes and belt. 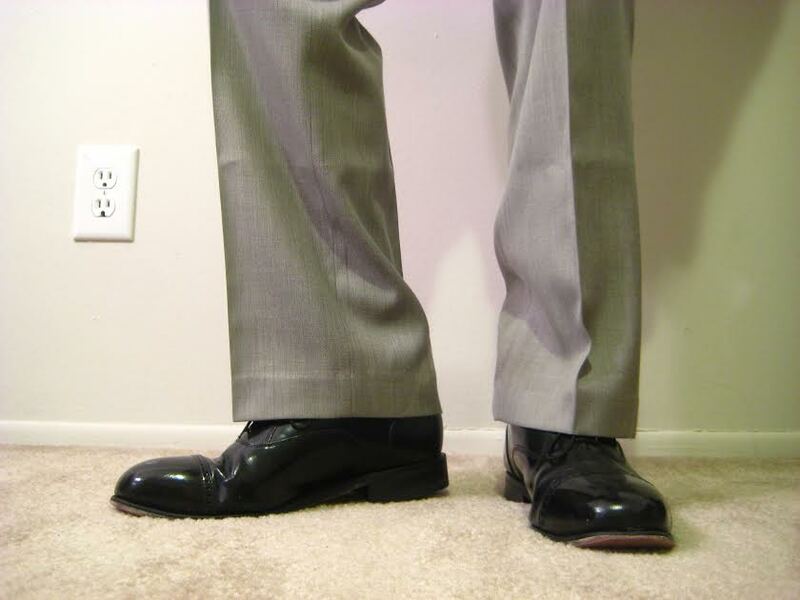 From far away, it looks like a grey on grey ensemble, but zoom in and hey: pattern! Very Nice! 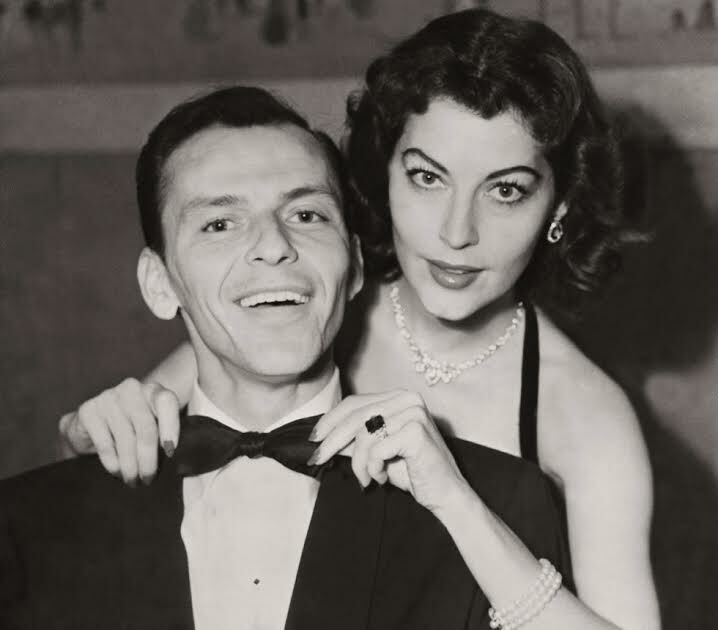 Love all the photos including Frank and Ava!